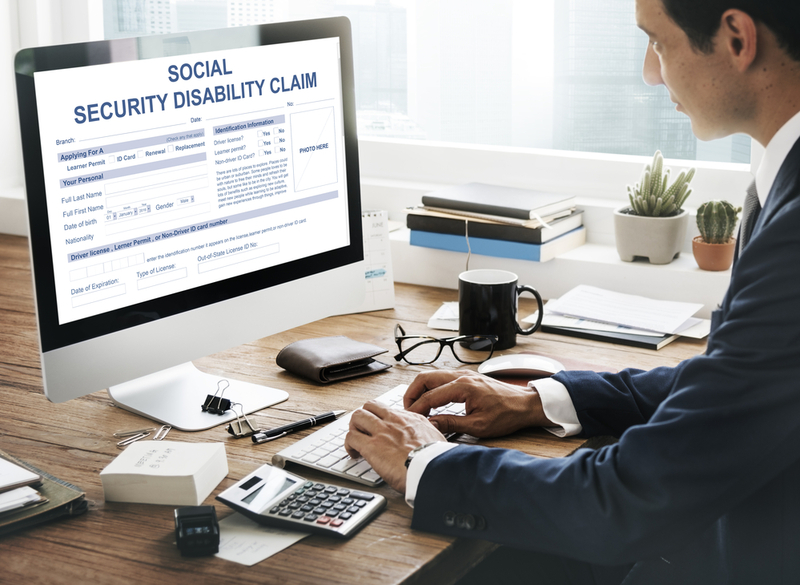 The Social Security Administration suggests that you complete an online application when filing a disability claim. File a disability claim online if you are least 18 years old and are currently not receiving any benefits from Social Security. The medical condition you have must leave you unable to work, and it is expected to last 12 months or until death. Have all your documents ready and in order before you apply. The application process may take three to five months, and Social Security states that beginning the process online can accelerate the process. There is specific information you need to file all the paperwork. Of course, you provide the usual personal information to the agency, including address, Social Security number, date of birth, email and phone number. The application also asks about financial information. Include the name and address of any physicians, medical facilities or caseworkers that you have seen and the dates that you have seen them. Submit any medical records along with any prescription medications you take, including the name and dosage. Include any laboratory and test results within these medical records. You must submit any employment records that state where you worked and what duties you performed. Provide your latest W-2 form from the IRS. If you happen to be self-employed, the SSA may ask for a complete copy of your latest federal income tax return. Keep in mind that you must submit original copies of these documents. Either mail these documents to the Social Security Administration or bring them to a local office where staffers make copies of your originals. The forms also request Social Security numbers and birth dates of other family members who may also qualify for benefits. If your spouse also be applies, submit a copy of your a marriage license and other marriage data. If you need more time, you can save what you have completed and finish later. The administration states that you need not give all information if it is not accessible to you. Workers at the agency can help you obtain additional information. Of course, incomplete information delays the application process further. You must sign a medical release form so that the SSA can obtain additional information from physicians and healthcare facilities, if necessary. If you do not feel comfortable completing information online, you may call your local office and make an appointment. Although you will find cited examples of what is needed to substantiate your claim on the official SSA website, the information you need is precise and detailed. The Social Security Administration does allow you to have a representative throughout the application process. Our office would be happy to represent you in this matter to help expedite your case.